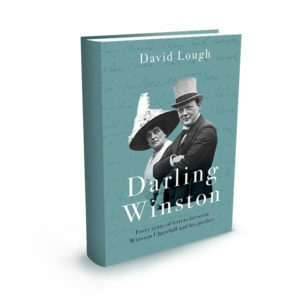 Britain’s Sunday Telegraph newspaper carried a news article in August 2018 highlighting the forthcoming publication of Winston Churchill’s letters with his mother in Darling Winston (Head of Zeus, 20 September 2018). Editor David Lough has retrieved approximately 800 of the 1,000 plus letters that he estimates mother and son exchanged. Darling Winston includes almost 500 of these, many of them never seen before; they run from Winston’s schooldays until days before his mother’s death by which time her son was more than fifty years old. Read the Sunday Telegraph article by journalist Dalya Alberge here.